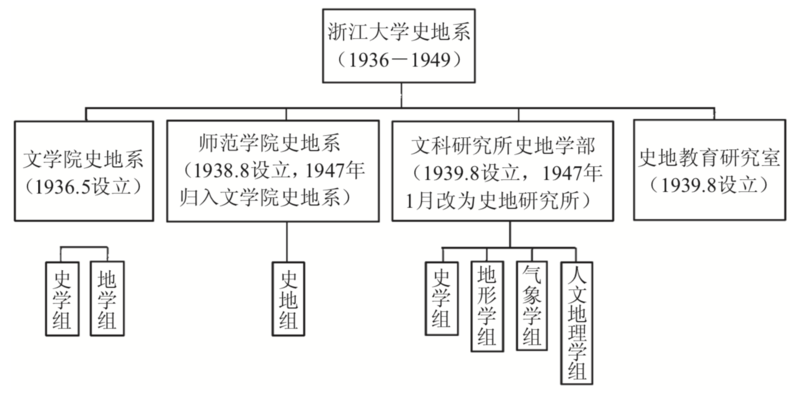 ⑬Tze-ki Hon, “The Fusion of Time and Space: The Rise of Historical Geography during the Nanjing Era(1927-1937)”, A paper prepared for the Workshop on Intellectuals, Professions, and Knowledge Production in Twentieth-Century China, Center for Chinese Studies, University of California, Berkeley, October 16—17, 2009, pp. 1—2. (31)Chiao-Min Hsieh(谢觉民), “Chu K’o-chen and China’s Climatic Changes,” The Geographical Journal, Vol. 142, No. 2(Jul., 1976), p. 249. (51)Chiao-Min Hsieh(谢觉民), “Chu K’o-chen and China’s Climatic Changes,” The Geographical Journal, Vol. 142, No. 2(Jul., 1976), p. 248. ① 毛文婷, 张淑锵. 张其昀与浙大史地研究所. 浙江大学学报(人文社会科学版), 2014(1): 183.